Quercus has pre-empted a new book by espionage historian Henry Hemming: Our Man in New York. The book tells the story of how, in the early days of the Second World War, British intelligence agents in America ran a campaign of propaganda, subversion and fake news to help bring America into the war. 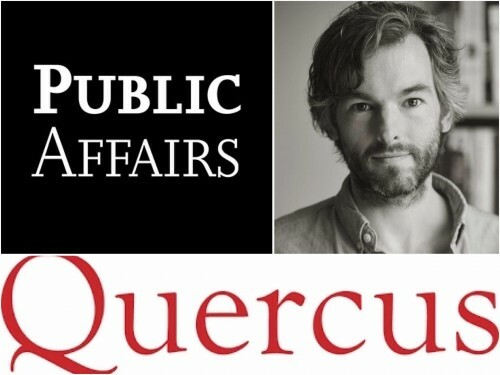 Commissioning editor Ben Brock acquired world rights, excluding North America, from Jonathan Conway at Jonathan Conway Literary Agency, and Quercus will publish in hardcover on 5th September 2019. North American rights were acquired by Ben Adams at PublicAffairs. While also unpicking how British intelligence agents, led by spymaster Bill Stephenson, were able to use "dirty tricks" to help entice the US into the war, the book will also reveal how MI6 worked with the White House in attempt to provoke Hitler into declaring war on the US. Following his biography of Maxwell Knight M: Maxwell Knight, MI5’s Greatest Spymaster, published in 2017 by PRH imprint Preface Publishing, Hemming said Our Man in New York was a book he had been wanting to write for years, particularly since he shares a personal connection with the spy at the centre of the tale, Bill Stephenson, who saved his father from drowning as a child.